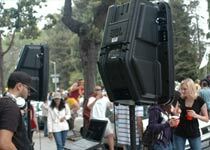 Avista is the West Coast leader in audio visual rentals for individuals, assisting customers with more than 10,000 events over the past decade. Our success has come from helping make it easy and affordable to do-it-yourself, and by understanding the importance of every event to our customers. 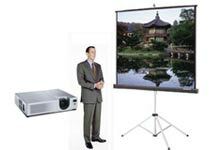 Browse our most popular rentals packages and products. 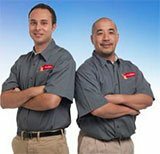 Most products can be picked up and dropped off at any of our offices, saving you money, and we give you steop-by-step instructions and phone support. Of course, we can also deliver, setup and operate your rental as well. 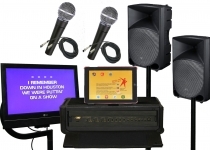 We're the market leader in karaoke machine rentals, with affordable professional-grade iPad-based systems accessing a 10,000+ song up-to-date library. Find out more about our great systems then reserve one today. Grab the blankets and the kids for a great summer time party! Our inflatable screens can accommodate audiences from 10 to 1,000. We put everything together in one easy-to-use package. Avista techs can also delivery and setup. 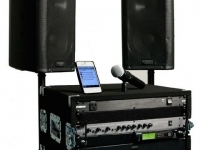 This sound system is made for any occasion where you want to play your own music, and make announcements with a wireless microphone. Ideal for wedding receptions, parties and memorial services. Find out more then reserve one today. 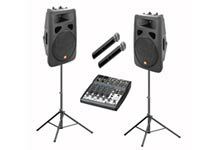 We carry the perfect speakers, microphones and mixers for any event. Browse our audio products, or just call us and we can help you pick the perfect system for your event size eand venue dynamics. 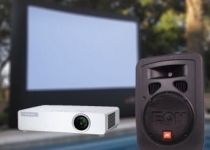 Whether your event is for 25 or 1,000, we have the projectors, screens and LED displays to meet the photo, video or presentation needs of any event. 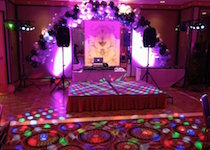 Avista has great do-it-yourself uplight, spots and DJ lights to add sizzle and drama to any event. We also provide full spectrum production services for larger parties. 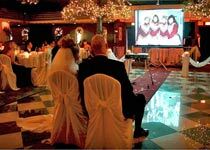 Projector and screens for photo/video montages, battery-powered speakers for beach or park weddings, sound systems and lighting for ceremonies and receptions, and video cameras to capture it all. 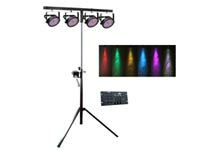 Sound systems and lighting options for house parties, graduation parties, karaoke parties, holiday parties. If our customers can dream it, we can support it. Garden parties, Bay-to-Breakers parties, cocktail parties, we've done it.